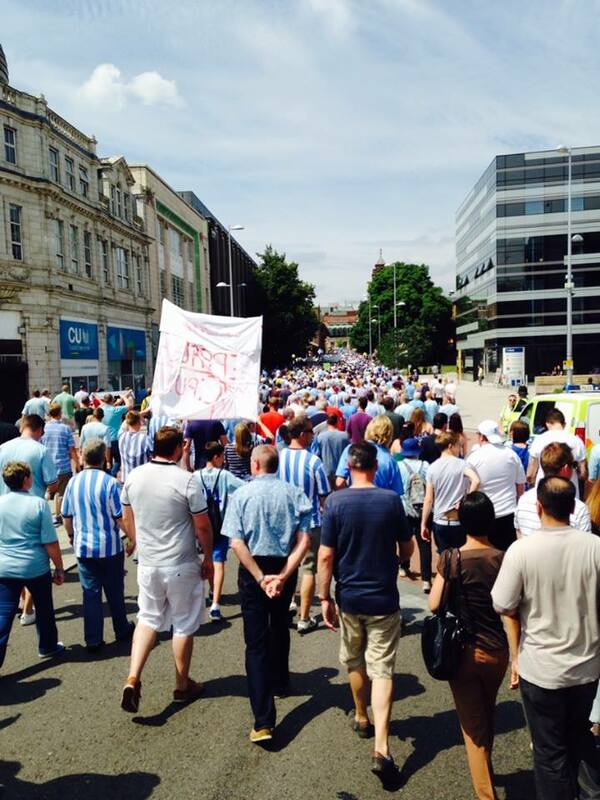 At least 7,000 people, probably more, marched through Coventry today (July 12th 2014) demanding Coventry City Football Club is rightfully returned home. The march comes on the backdrop of another season where the club looks set to play their home games over 30 miles away in Northampton. As the dispute between the clubs owners, hedge fund SISU, continues with the City Council and ACL (the group that owns the RICHO Arena, which the Council is part of). 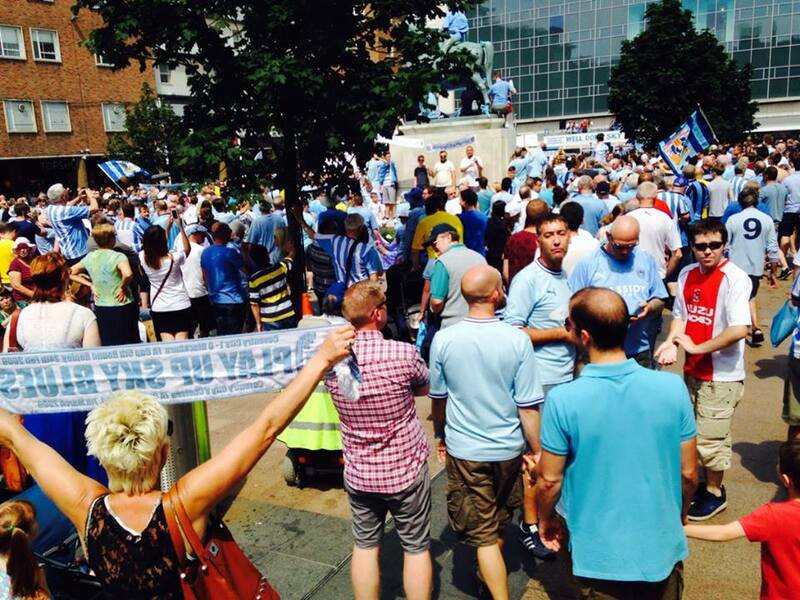 Whilst there were mixed and varied messages from the different elements involved in organising the demo in relation to their stance on the clubs ownership by SISU. The overwhelming majority of supporters and people on the demo, were clear; they want the money grabbing parasite SISU OUT! Football fans of from Chelsea, Leeds, Ipswich, West Brom, Middlesbrough and many more clubs were out giving their support and solidarity to the protest. Reflecting the fact that the fight to kick Big Business out of football is a fight who ever you support and for every football fan. Socialist Party members were on the protest, selling a number of Reclaim the Game pamphlets. 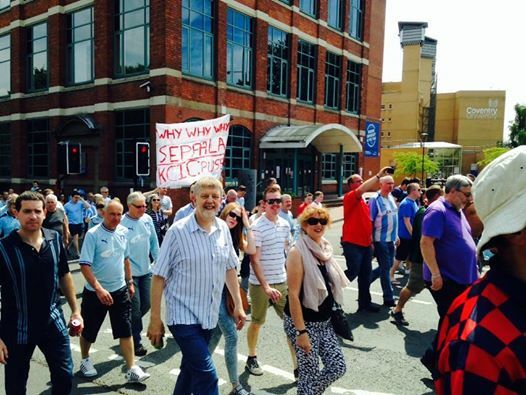 The tragedy that has hit Coventry City FC is a perfect example of how these unaccountable profit hungry parasites such as SISU directly impact on working class communities and attack the traditions and culture of ordinary people. They must be stopped and discussions need to take place about how we can get fan and community ownership of football and sport in general. check out the link below for Socialist Party book and Pamphlet ‘Reclaim the game’ to find out more on the struggle to reclaim football for diary working class people. Dave Nellist and other members of the Socialist Party were out on the Demo.